Thanks to voters, Colorado has a new process for drawing political districts. On November 6, 2018, Colorado voters overwhelmingly approved Amendments Y & Z – which significantly improves the way we draw political lines. No liberty is more fundamental than our right to choose the people who represent us. This election, Coloradans overwhelmingly supported the idea that politicians should not be allowed to create districts that protect incumbents – or are stacked in favor of one political party. What it does: Elected officials and political party leaders will no longer control the process of drawing political districts after each new Census count – a process known as redistricting. Instead, two independent redistricting commissions made up of Colorado voters will draw the lines. 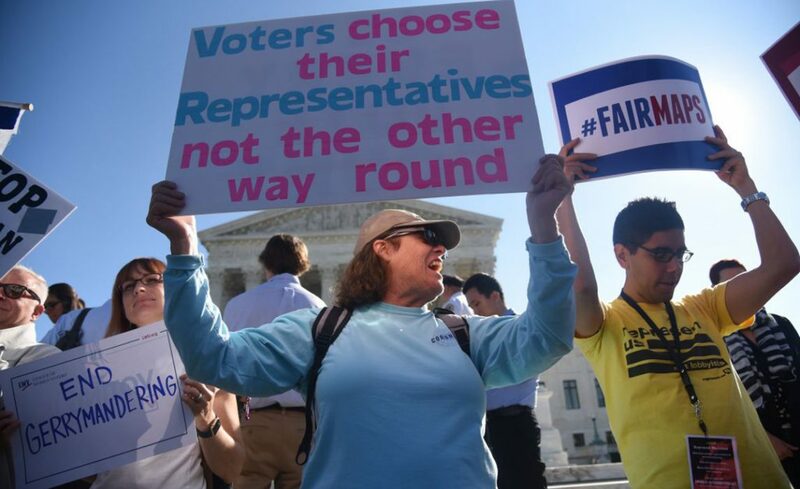 Why it matters: The redistricting process is critical to fair and accurate representation. Having districts drawn by Coloradans who are not politicians or lobbyists will ensure a less partisan and more equitable system. Our role: Amendments Y and Z were drafted after two groups introduced separate ballot initiatives to reform the redistricting process. Colorado Common Cause played a key role in bringing these groups together to draft a new redistricting measure, which combine some of the strongest aspects of the previous proposals. We worked with a coalition of Republicans, Democrats, and Unaffiliated voters to ensure that communities of interest were prioritized, that commission meetings are subject to open records and meeting acts, and that national best practices were incorporated. We also played a vital role in providing education and advocacy about the amendments to our members, the press, and the public. What’s next: After the 2020 census is conducted, both independent redistricting commissions must be created. Coloradans who can demonstrate analytical thinking skills, an ability to be impartial and to promote consensus, and have experience in civic groups and organizations are encouraged to apply. Stay tuned for more information coming soon.